Despite the much-publicized demise of print media, press releases remain one of the most important weapons in the PR arsenal. PR can share news releases on social media, distribute them to bloggers and other influencers interested in the company’s niche, and post them on company blogs and websites, which win top billing on Google News. PR pros believe brand awareness and sales increase after they issue press releases. The hard part is proving that value to senior management. 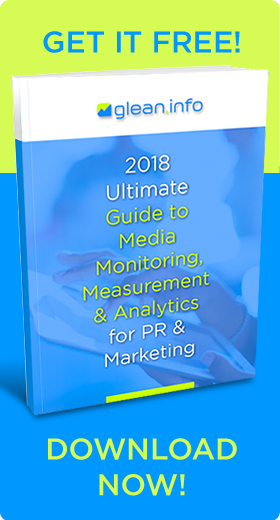 Media monitoring and measurement services help PR overcome that challenge. 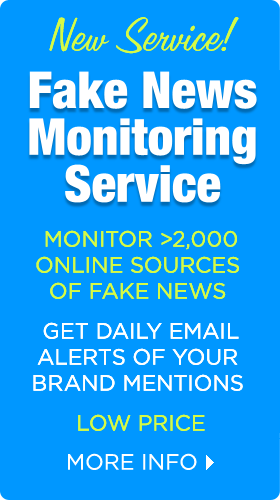 “Thanks to better monitoring and tracking services, tracking the true ROI of a news release has never been easier,” writes Serena Ehrlich, Business Wire director of social and evolving media. Measurement reports reveal important insights into the effectiveness of your press releases, Ehrlich explains in her Business Wire article How to Measure the ROI or Impact of a News Release in 2016. Coverage. Coverage, the first and oldest PR metric, refers to the amount of coverage your news and content generated. Coverage includes the number and reach of placements in print, online and broadcast, location within the placement, length of article, multimedia assets used, and corporate or brand messages delivered. Visibility. How broadly was the news shared, who shared it and which audiences impacted the marketing funnel the most? Was it editorial coverage? How many influencer shares of that coverage occurred? Did employee sharing increase word-of-mouth marketing? Did the multimedia assets you included increase impact? Geo-Impact. In what geographic regions did the news resonate? Organizations can act on this data with paid advertising or a concentrated sales effort, striking while the conversational iron is hot, Ehrlich advises. Social shares. Examine the number of influencers who talk about your news and the number of overall news shares. Also consider the message adoption and associated hashtags usage. Inbound traffic. Simply add a URL Builder or extension to a URL within your press release that drives traffic back to your website. After viewers click the link, you can track their actions within your website. Because some media outlets will not include hyperlinks to your website, remember that this will only be a snapshot of incoming traffic. Also consider increases in inbound website traffic during the news cycle. Owned channel registrations. Include links to join your other owned channels, including following social channels or registering for a newsletter. This enables interested parties to take the first step in creating a relationship with your organization. Engagement. Other PR measurement experts such as Katie Paine also include engagement rate to measure impact in social media. Engagement rate consists of the number of likes, comments, and shares that an article generated as a percentage of the total number of views. Some experts emphasize the sentiment of the comments. To obtain valid measurement of sentiment, a piece will have to generate significant numbers of comments. The first step in measuring the press release’s results is to consider your goals and its expected outcome. Are you alerting media to new products, or showcasing thought leadership with white papers and infographics? Ehrlich and other experts offer these recommendations to create news releases that drive results. • Avoid mass messages. Gear the release to a particular publication or small number of reporters. Emailing the same release to a huge number publications acquired through a data base rarely works. • Consider the headline. Including the organization’s name and being succinct are essential for headlines. You can also play around with the words to create a catchy headline. Including a powerful verb in the headline works best. • SEO. Include keywords in the headline, subheads, anchor link text, and within the body of the text. Search engine optimization (SEO) is important to gain placement in search results, although Google’s algorithm punishes content mills that churn out releases filled with spammy, “unnatural” links. • Write well. The best press releases are succinct, straightforward and free of clichés and industry buzzwords. Placing the hook in the headline and first sentence is the best way to win attention – especially from journalists or editors who decide whether or not to publish the story. • Be visual. Research shows that most people including journalists tend to learn better through visuals and are more likely to interact with images, videos and audio. Editors are more likely the run stories that include interesting multimedia elements. Bottom Line: Writing and distributing news releases remains one of the most important functions of PR, though distribution methods have changed. Demonstrating the value of news releases can improve PR’s standing in the organization. 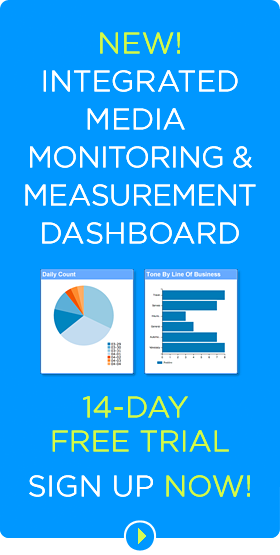 Fortunately, media monitoring and measurement services make that easier than ever.